Elephant Cave is better known as Goa Gajah to the locals. Despite its slightly misleading name, lending the impression that the archaeological site will be dwelling with elephants, the ‘cave’ us a significant site with historical value. 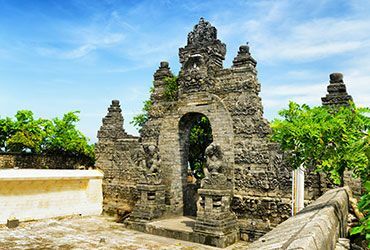 The structures reveal Hindu and Buddhism influences dating back to the 8th and 10th century. 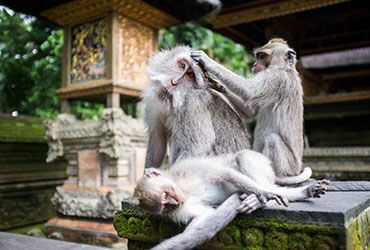 Officially known as the Sacred Monkey Forest Sanctuary (Balinese Mandala Suci Wenara Wana), the Monkey Forest is a nature reserve and Hindu complex temple in Bali. Visited by over 10, 000 tourists a month, the sanctuary is viewed importantly as a spiritual economic, educational and conservation centre by the village’s residents. 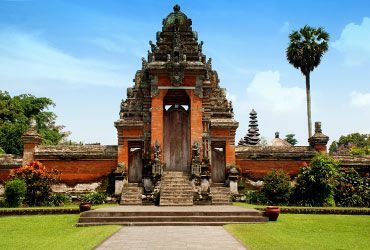 Also known as Padangtegal Great Temple of Death, the temple is one of the three Hindu temples making up a temple complex in the Ubud Monkey Forest. 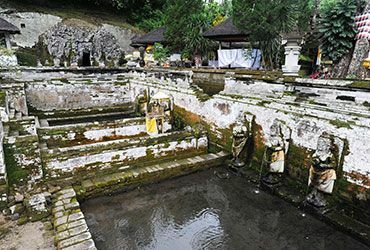 Being the called the “main temple”, Pura Dalem Agung Padangtegal is used for worshiping the god Hyang Widhi. The temple is believed to have been built around 1350. The market is locally known as Pasar Seni Ubud and is opened daily. Get the most authentic silk scarves, handmade woven bags, lightweight skirts, baskets and many other hand-crafted goods when you visit here. 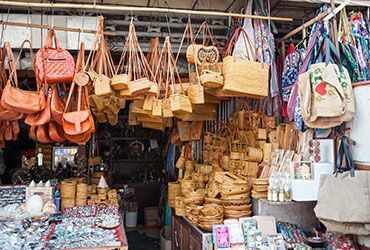 Being just right opposite the Ubud Palace, which is the centre point to Ubud, the market is a strategic shopping heaven for Balinese souvenirs. Officially known as Puri Sagen Agung, the palace was built during the reign of the late Ida Tjokorda Putu Kandel and is well-kept by his successors. 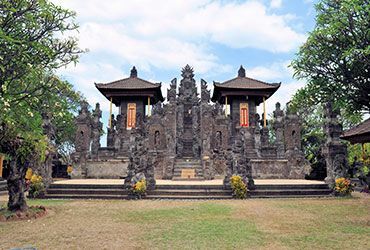 The Balinese architecture and charming garden settings in this palace is well-preserved to date and is best known as the main site to view dramatic evening dance performances. Also known as Pura Luhur Uluwatu, it is one of the six key temples believed to be Bali’s spiritual pillars. The temple shares an impressive sunset backdrop and is definitely one of the top places on the island to go to for sunset viewings. With a direct view overlooking the Indian Ocean, visitor can also enjoy daily Kecak dance performances.